Fibrous dysplasia (FD) is a benign fibroosseous bone disorder. It has poliostotic and monostotic patterns. Monostotic FD is frequently asymptomatic and is usually discovered incidentally by radiologic imaging performed for other reasons. Bone scintigraphy is valuable for identifying disease extent. Craniofacial FD (CFD) is a form of the disease where lesions are limited to contiguous bones of the craniofacial skeleton. We presented a case with monostotic CFD who was detected incidentally on bone scintigraphy single-photon emission computed tomography/computerized tomography while being investigated for inflammatory arthropaties. Surgical and Medical Practices: H.Ş., K.O., Ö.E., A.Ö.K., A.O.Ö., Concept: H.Ş., K.O., Design: H.Ş., K.O., Ö.E., Data Collection or Processing: H.Ş., Analysis or Interpretation: A.Ö.K., Literature Search: A.O.Ö., Writing: H.Ş., K.O. 1. Kumar V, Abbas AK, Aster JC. Robbins & Cotran Pathologic Basis of Disease, 9th ed. 2015;1408. 2. Elgazzar AH. Synopsis of Pathophysiology in Nuclear Medicine. Springer International Publishing 2014;357. 3. Harisankar CN, Bhattacharya A, Bhadada SK, Kamaleshwaran KK, Mittal BR. 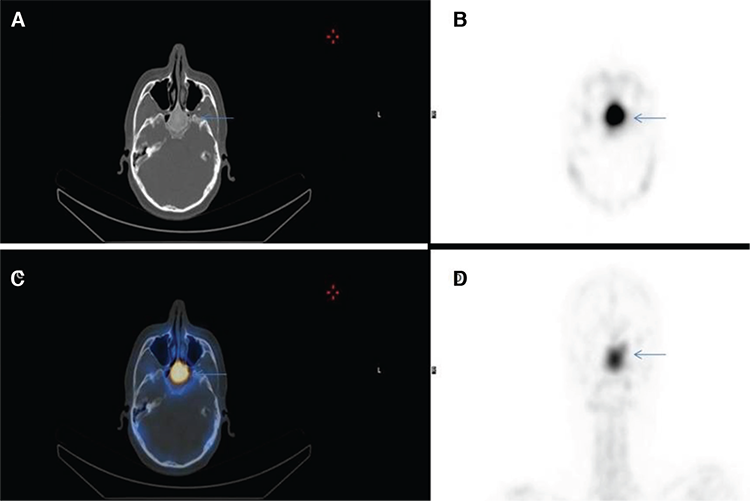 An interesting case of polyostotic fibrous dysplasia: The “pirate sign” evaluated with Tc-99m methylene diphosphonate single-photon emission computed tomography/ computerized tomography. Indian J Nucl Med 2011;26:40-41. 4. Schlumberger HG. Fibrous dysplasia of single bones (monostatic fibrous dysplasia). Mil Surg 1946;99:504-527. 5. Daves ML, Yardley JH. Fibrous dysplasia of bone. Am J Med Sci 1957;234:590-606. 6. Menon S, Venkatswamy S, Ramu V, Banu K, Ehtaih S, Kashyap VM. Craniofacial fibrous dysplasia: Surgery and literature review. Ann Maxillofac Surg 2013;3:66-71. 7. Harris WH, Dudley HR Jr, Barry RJ. The natural history of fibrous dysplasia: An orthopedic pathological and roentgenographic study. J Bone Joint Surg 1962;44:207-233. 8. Owlia F, Karbassi MH. Craniofacial polyostotic fibrous dysplasia: A rare case. Dent Res J (Isfahan) 2014;11:518-521. 9. Kim DD, Ghali GE, Wright JM, Edwards SP. Surgical treatment of giant fibrous dysplasia of the mandible with concomitant craniofacial involvement. J Oral Maxillofac Surg 2012;70:102-118. 10. Leeds N, Seaman WB. Fibrous dysplasia of the skull and its differential diagnosis. Radiology 1962;78:570-582. 11. Zhibin Y, Quanyong L, Libo C, Jun Z, Hankui L, Jifang Z, Ruisen Z. 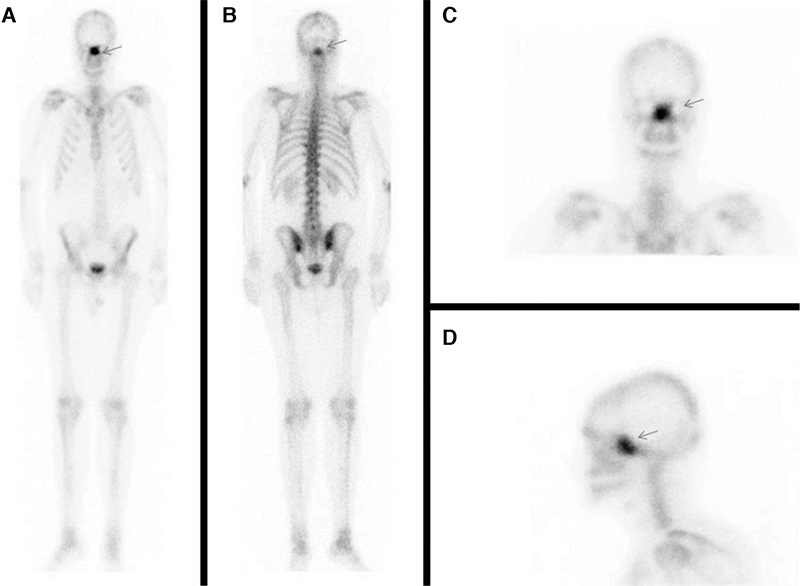 The role of radionuclide bone scintigraphy in fibrous dysplasia of bone. Clin Nucl Med 2004;29:177-180. 12. Jee WH, Choi KH, Choe BY, Park JM, Shinn KS. Fibrous dysplasia: MR imaging characteristics with radiopathologic correlation. AJR Am J Roentgenol 1996;167:1523-1527.